What a great fantasy read! 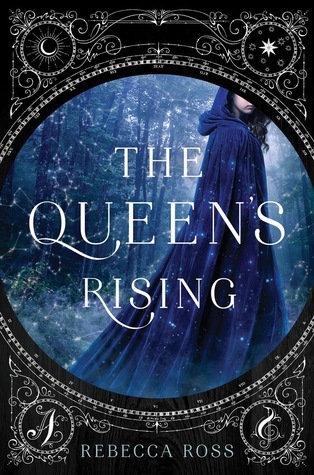 Fantasy is one of my favorite genres but I am also super picky with it and so often I’m just not grabbed by the world, but The Queen’s Rising was a winner for me. It was a great world with great characters and I just really loved it. I adored Brienna. She is such a great heroine. She is strong and brave, but also realistic. She gets scared and tempted by the easy route but she also pushes through and does what she feels is right. And I loved the secondary characters. Cartier was so great and sweet. He is so serious but he also has a softer side and I really liked him. I loved Mirai and Isolde and Luke and pretty much the entire secondary cast. One of my favorite things about this book was the strong female friendships. We open the story at a school where girls can study “passions” and I loved the bond between the girls. They clearly loved one another so much. I especially loved the bond between Mirai and Brienna. They were such good friends and I loved their bond. I also loved the relationship between Isolde and Brienna. They became fast friends and I loved that they believed in one another and truly leaned on one another. I’m always here for female friendship represented in a positive light. I also really enjoyed the plot of this one. It’s a slower moving pace, and I do admit that at points it could be a tad too slow, but overall I thought it worked well. This one has a lot of set up and planning that builds to something bigger, so if that isn’t your jam this isn’t the book for you. But if you’re like me who likes to see how a much bigger picture comes together, than this is a great one to read. The one thing I didn’t love was the romance. It’s there in the beginning and teased but then it just goes away! And I wanted it to come back! I wish it has been more prevalent throughout the story. It was there then gone for so long and then it comes back but it’s still very much in the background. Now I’m not one who needs a romance but this kept being teased on the edges and I wish it had either been more forefront or just not there. I do admit that I shipped it hard though, so there is that. The Queen’s Rising was a great fantasy read and I’m already dying to get my hands on the next book. Really looking forward to more time in this world with these characters. Oh nice! I still need to read this one so I am glad to hear it was a winner! I'm hoping the pacing doesn't totally bog me down. I can enjoy a nice buildup, as long as something happens along the way kind of thing. Nice review!